Here in South Texas, the weather is so confused that we have been through all 4 Seasons in the last 6 weeks. This is just a hard to deal with as individuals who live in the Northern part of the country having to deal with all the snow. I yearn for the good ole’ days when we had “Seasons”. Change of the Seasons is so good for our physical and mental health. But I guess we must learn to adapt to changes. This year I decided I would set project goals and so far so good. The Irish Mist put me behind about 3 weeks, and I volunteered to be a Moderator for the Applique Boutique Yahoo Group. I am enjoying all of it. 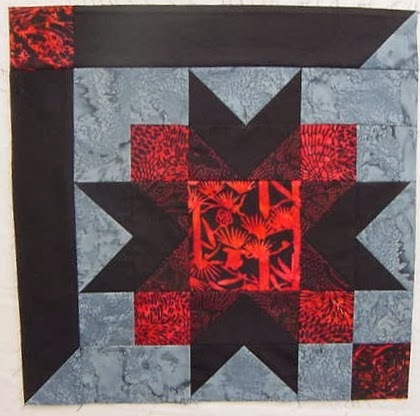 It is so nice to connect with other Quilters and see their work and learn new ideas or challenges. 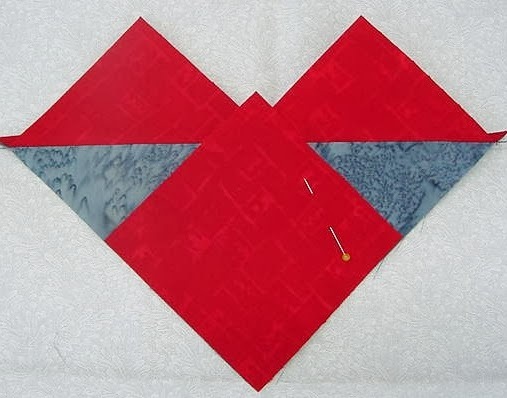 I am now starting on my 2 Baltimore Album Quilt Blocks for the Baltimore Applique Society (BAS) fund raiser. I volunteered to make 2 blocks. So I am now in the process of tracing the pieces from the pattern on to freezer paper, cutting them out and putting them in baggies. The next step will be to select fabrics. 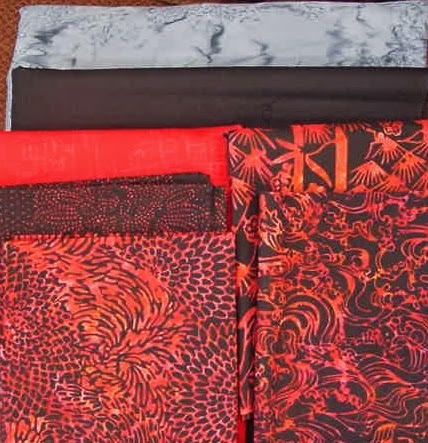 Now that can be fun, because I must decide whether to make them both traditional Baltimore Album’s or maybe make one with Batiks – I love batiks but of course, batiks were not on the market in the 1800’s! Here are pictures of the blocks that I have selected. I have until August to complete them. They will be auctioned off on the BAS Internet Fund Raiser Auction at a later date. I will post my progress. Along with this project, I will be quilting a Civil War Reproduction quilt that I made using some fabrics I purchased in 2002. The fabric line came out in 2000. I finished the quilt in 2006, but I have let it gather a lot of dust and it is time to finish the quilt! Have a great day and stay warm, cool, or dry – whichever weather you are blessed with! 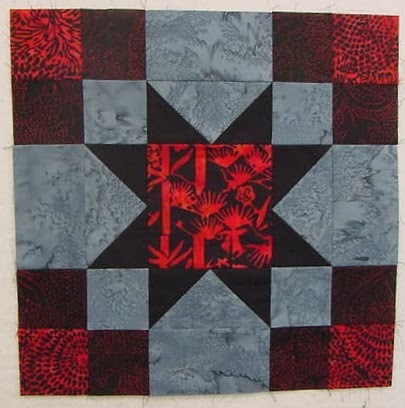 It is always a happy day and yet a day of relief when a Quilter finishes a project. This project turned out to take me longer than I had planned, but I am very pleased with the outcome. Lessons learned in making this quilt. Review the pattern completely. Try to match the cutting instructions to where the pieces will go in the quilt. 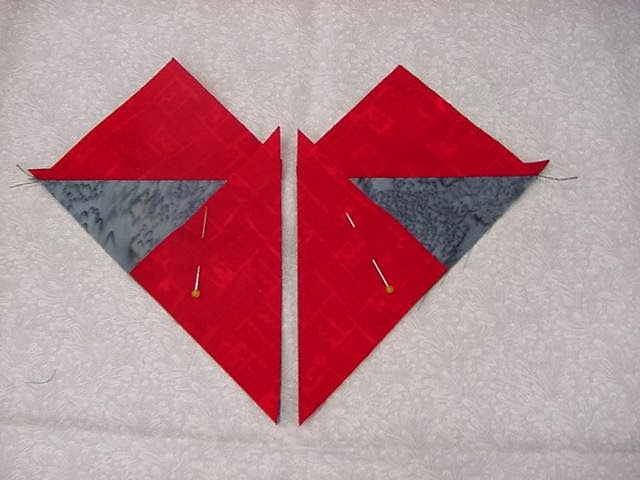 Consider adding an extra 1/4″ to cutting instructions for Flying Geese, HST, and QST’s. This will allow the Quilter to have extra fabric to “square” or “trim” the piece. 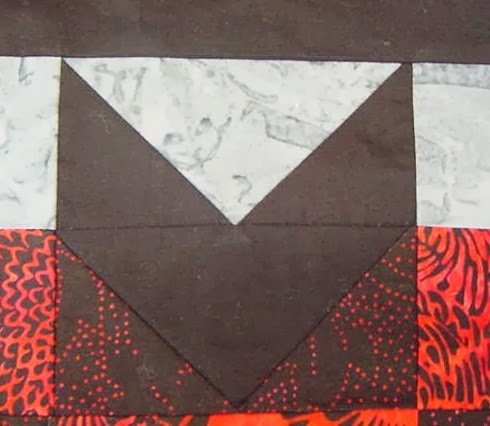 If the pattern does not make sense, or if measurements are not provided to sections of the quilt (i.e., like the triangle that I had problems with in this quilt), call the Designer and ask for those measurements. Do not give up on a pattern when you run into a problem. Designer’s really do not mind questions to clarify and assist. Enjoy the pictures, and now on to my next project. 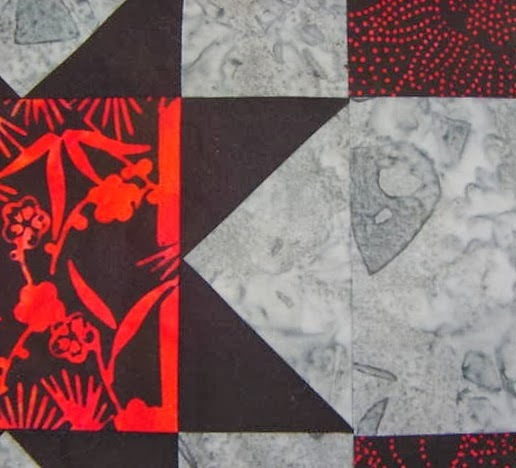 I will be making 2 Baltimore Album blocks for the Baltimore Applique Society (BAS) auction. They will be due in August 2014. So time to get going on that. I will document how I prepare my needleturn applique projects. 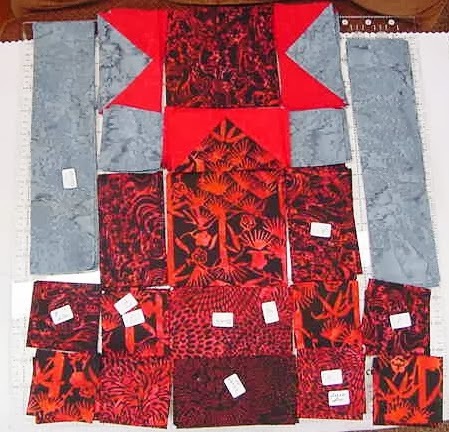 I will also be starting on another pieced quilt to work on during the day, but have not decided which one is next. 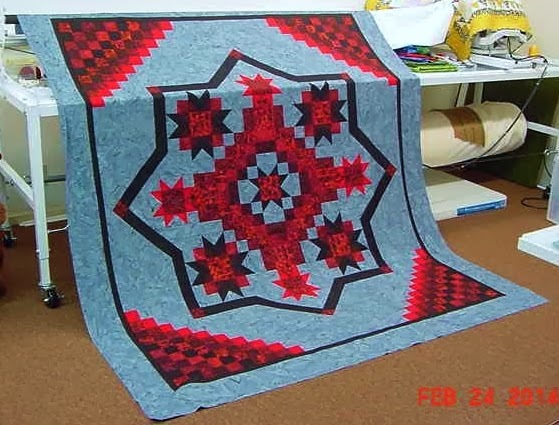 I want to make Marsha McCloskey’s Feathered Star quilt, but not sure I want to tackle two intense quilts right now. Have a great day and hope you enjoyed the process. Moving Along with the "Re-Do"
I am finally making progress. I have finished all the Star Blocks for Irish Mist and getting ready to start on the panels – the ones that I messed up in the previous version of the quilt…I hope to have them completed today… wishful thinking. Making the quilt the 2nd time (although I wasted time and fabric) really makes a difference. I have a better understanding of where each stack of squares, rectangles, etc. will go. I know which way to press the seams – not relying on the pattern – and taking extra care in cutting, squaring, and sewing. The secret is pin, pin, pin, and go slow. This is the first time a Designer actually indicated that a “scant” quarter inch seam allowance was used throughout the quilt. This really assists the quilter in knowing whether or not to adjust their sewing machine. AND all machines are different. I have Husqvarna Designer and a Husqvarna Sapphire. Each of them are different in setting the seam allowance. I always thought that my 1/4″ seam allowance on the Designer was exactly that. Well, it a “generous” 1/4″. Last year when I was working on my Floating Stars quilt I realized that I needed to “adjust” that 1/4″ seam. I keep a note on my table that has the settings for a full 1/4″ and a “scant” for both machines. This way I do not “forget” and have to rip, rip, rip, of which I have done a lot of “ripping” to achieve a quilt that is square when completed. This information is so critical for new quilters because it can be the deciding factor if the have problems when making first time quilts. I firmly believe that this is why many newbies give up. 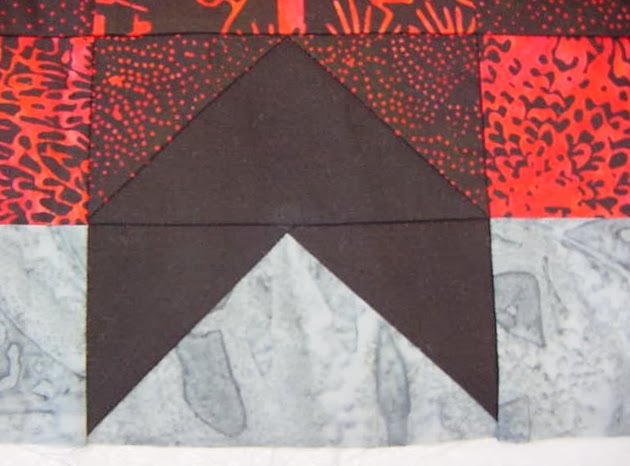 It is so frustrating to make a quilt and when completed it is not squared, points are cut off, seams do not match, etc. During the next few days I will be posting my journey with a quilt called Irish Mist. I started the quilt in January, and had issues with cutting instructions and a mistake I made. So I now call the quilt the “Re-Do” quilt. Ever start a quilt thinking, “ah this is a well written pattern and I should not have any issue” only to have the opposite outcome? The hiccups I encountered were minor but caused me major problems. 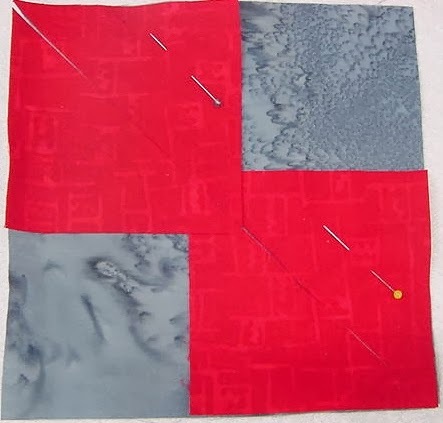 I am sure there are other quilters out there who experience hiccups with pattern directions and just throw their hands up and walk away and the quilt goes in the UFO pile. Then there was the lovely mistake that I made. When I am making a quilt with lots of pieces, and specific color placement, I use a small label to make sure that I do not mix things up…..Well, so much for me. I accidentally picked up a wrong piece and really messed up 2 weeks of work! Lesson Learned. 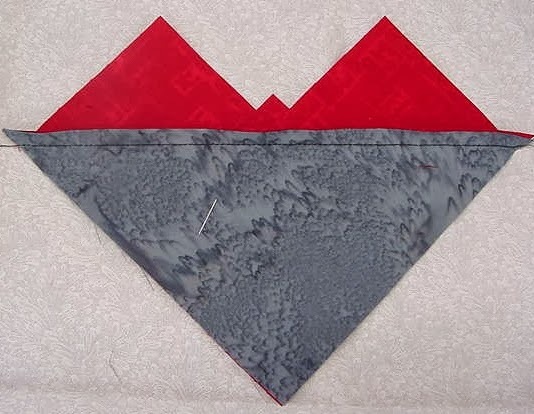 Read the pattern, study where the pieces go before any cutting is completed and if possible, make a practice block. 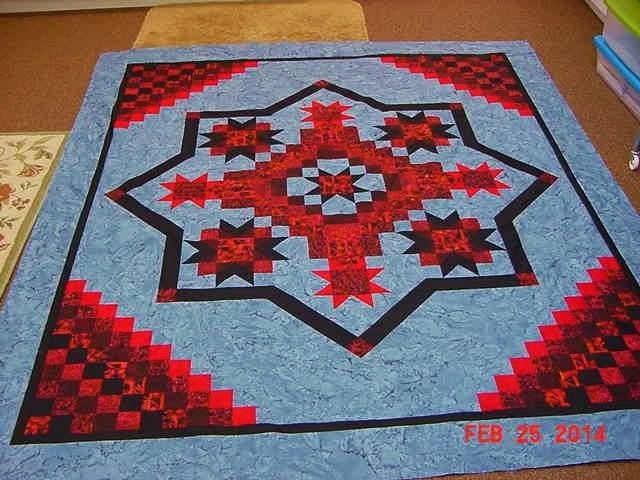 This is a picture of the center of the quilt as of 24 Jan 2014. It was not soon after that when I realized I had major problems. This quilt is now in the “never to be finished” bin! Here are a few pictures of the problems with the points because of cutting the large square for the FG at 5 1/4″ and the 2 7/8″ squares. By using the 5 1/2″ and the 3 1/8″ squares, this problem has been resolved. Whew! 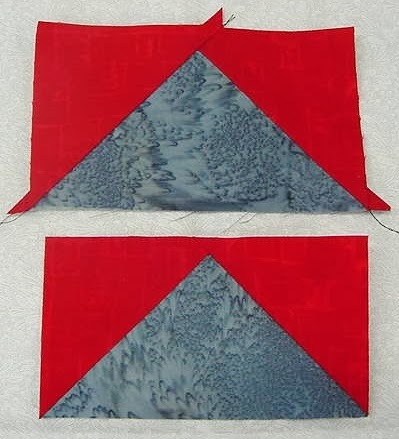 Here are the steps for the Flying Geese using a 5 1/2″ square and 4 each – 3 1/8″ squares. I have now received the new background fabric and have re-cut all the background pieces and any of the other fabrics that needed to be re-cut. 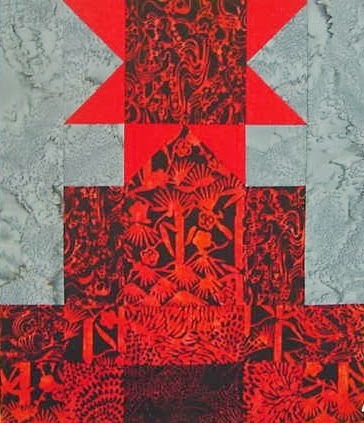 The new background (Hoffman Batik) has a little more blue in it that the original, but I like it better. 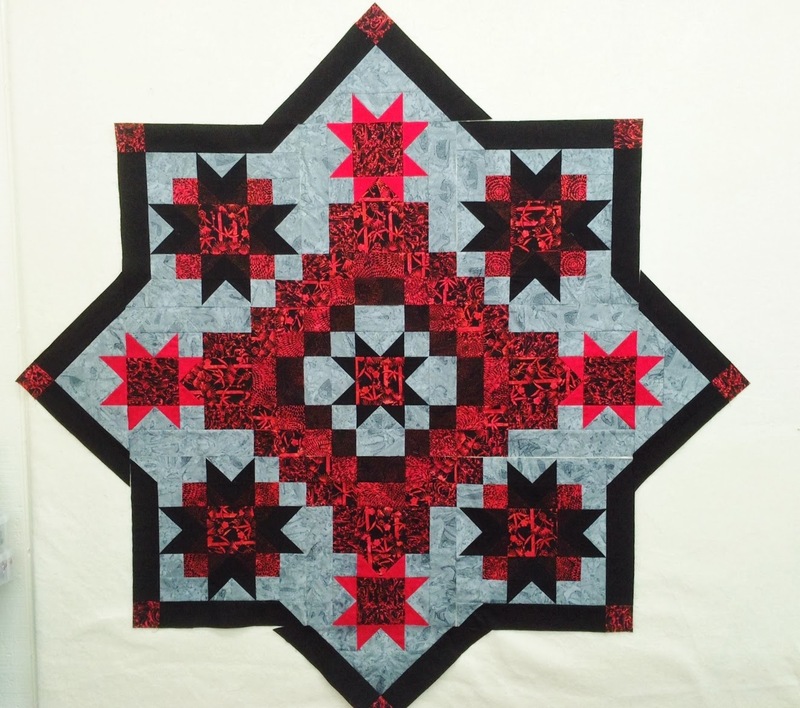 The Quilt has 4 Large Star Blocks, 4 Small Star Blocks, and a Center Block, 4 Side panels, and lots of 2 1/2″ squares for the corners of the quilt. Here are pictures of the “redo” of the quilt blocks that I have finished and the blocks that I will now start working on. I still have a lot of work to complete this quilt, but feel that it will be worth the effort put forth. Center Star Block, Large Star Block and the Small Star Block. I hope that you have enjoyed my first Blog and hopefully the experience I have had might help you in your next project.